One of the many reasons why tourists flock to Japan during springtime is to see sakura trees in full bloom. The cloud-like trees symbolize the “ephemeral nature of life,” an important aspect of the Japanese culture that’s often associated with Buddhist influences. Don’t worry if you can’t book a flight to Tokyo just yet. Tenya, a Japanese tendon restaurant, is bringing cherry blossoms to your plate. A special take on their signature tempura donburi, the Sakura Tendon set has Tenya’s signature tempura donburi—Japanese rice with black tiger prawns, itoyori fish (seabream), okiami (krill), kakiage, nori, and green beans, poured with don tare sauce. 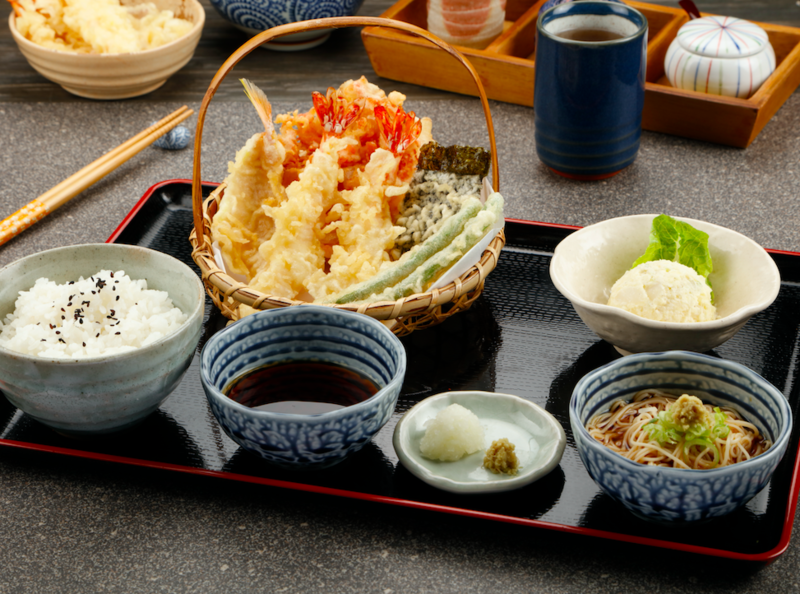 Another dish you can enjoy is their Sakura Teishoku, a festive set which is similar to the Sakura Tendon set but is served with cold somen, Japanese rice, and potato salad on the side. Tenya has partnered with Origami Philippines to create sakura-shaped light fixtures, amping up the Japanese vibe of the restaurant. Tenya’s limited edition sets are available from Apr. 5 to June 30 at SM Megamall, Market! Market!, Paseo de Magallanes, SM Mall of Asia, Festival Mall, and SM Southmall.